Star recruit Corey Norman wants to play five-eighth for the Dragons. COREY Norman has revealed the decision to force him out of Parramatta came from the "top" and not Eels coach Brad Arthur. 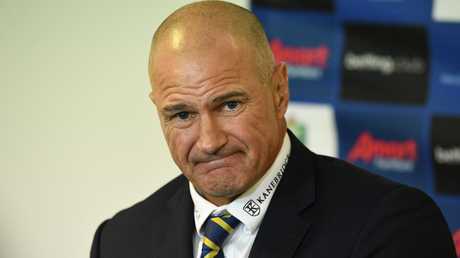 Just 12 months after starring for the club, he was on the way out following a horrid year personally and for the Eels, who finished with the wooden spoon. Norman said telling Arthur about the move was among the most difficult conversations of his career. "It's no secret Parramatta didn't see me in their future," Norman said. 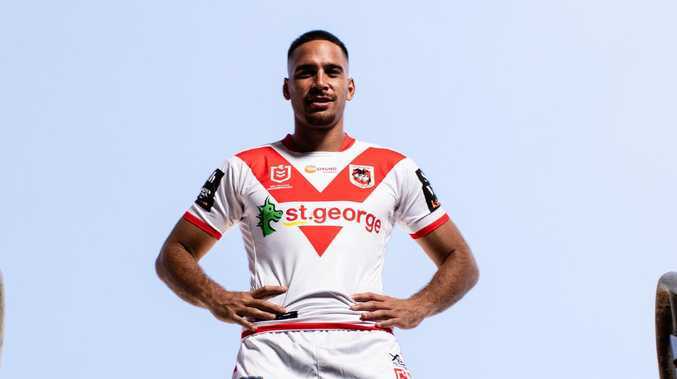 "The conversation with Brad when I decided to come to the Dragons was tough. "We have a really good relationship. We are very close. "It was tough to tell him I was going to leave. It was weird. I didn't want to say it to him. We have that respect. "He just said he was always going to support me. He just wanted me to make the right decision. "(The club decision) must've come from the top. It came out that it came from the top. If they don't see me in their future it is what it is. That's what they've done. "I felt like we let Brad down as players. You don't realise how much it affects you until you step away from football. It was mentally draining. "When I look back sometimes we tried too hard and made it worse." With the horror of 2018 behind him, Norman is keen to reunite with former Brisbane teammate Ben Hunt at the Dragons. Hunt was instrumental in getting Norman to the club. "Once I spoke to Benny he was keen to get me down here and the boys would love me," Norman said. "I'm excited now I'm here." Norman wants to do more than just line up in the same starting 13 as Hunt, he wants to partner him in the halves. Coach Paul McGregor is yet to settle on his fullback and five-eighth roles for the start of the season, with Norman having trained in both spots. Skipper Gareth Widdop has also split time in the two positions, and incumbent Matt Dufty wants to keep his No.1 jersey. "I prefer to play five-eighth," Norman said. "It's no secret that's where I feel like I'd be best for the team. I don't mind fullback. I just don't think I'm quick enough. "(Hunt) complements my game. I'm looking forward to having a couple of trials with him. "We are all switching around so we can see how we go. "It's getting the balance and fluency between us. Everyone is on the same page. That's what pre-season is for. It's been working well." Super League was not an option for the 28-year-old, who was adamant he could recapture the form that made him one of the best attacking players in the game in 2017. McGregor has told Norman to find his "football instincts". "My standards were very low," Norman said of last season. "I've never lost that much in my life. Dealing with that was something new. What I learnt from it was don't blame anyone else. Have a hard look at yourself. "I'm not going to lie, things were tough last year. Only winning four games makes it very difficult to come to training and be upbeat and get ready for another week. "Your confidence takes a knock."